Nicole Richie had to make a sharp exit from an LA boutique on the 10th March when she was out shopping for some of Joels birthday gifts. According to thisislondon.co.uk and this is what they had to say on the situation ..
Nicole Richie is no stranger to bad behaviour - she was once one of Hollywood's most notorious party girls - but yesterday she was upstaged by a rather naughty animal. 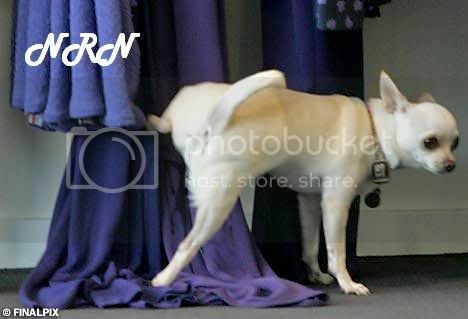 The star was forced to make a swift exit from an exclusive boutique on Melrose Avenue after an anti-social dog cocked its leg up an expensive purple dress.